Random thoughts on faith, fitness, books, movies, music, and other personal tidbits from my daily life. A funny thing happened on my way to Easter Sunday this year. I wrote about my less-than-stellar Palm Sunday experience here, and the week wound downhill from there (albeit with a few nice moments along the way). Here it is, almost Easter again. 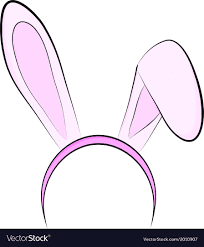 I'm not big on bonnets or bunnies or being in my Sunday best, but those who know me know the entire Holy Week drama is quite possibly the pinnacle of practicality in my mind when it comes to melding creation to Creator, meaning to Mystery, and the very essence of life everlasting to the Everything. It is quite possibly my favorite week of the year (though not in a happy-clappy sorta way). 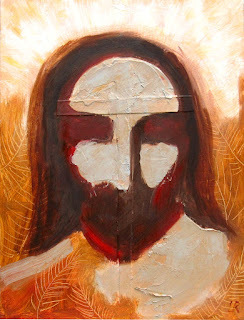 Anyway, something I started doing a number of years ago is this Holy Week David Gilmour Liturgy. I choose a DG song and pair it with a Scripture verse to go along with each of the days of Holy week. It's something I am quite proud of, actually. I've even contemplated writing an ebook or devotional. Every year I post it in some form or other between Palm Sunday and Easter Sunday. And... every year I hear comments (or at least imagine them) wondering what in the world I mean by it. Am I being sarcastic, sacrilegious, or serious? Well, I thought I would try to offer an explanation this year. Though it will be difficult because I'm not sure I understand it myself. What I do know, though, is I am not intending to idolize anyone's music, nor do I mean to slight the Savior. I guess... to me... when I mix the emotion of the moments from history, with the sacred stirrings of Scripture and artistic expression of song 'maybe' intended for something totally other (I don't know)... my personal belief is that the listener/participant is able to create from it their own soul sauna and bathe in it's beauty however they like. I mean, how bad can it be for God and Gilmour to mix it up for the Good of us all?? Anyway, you can think of Holy Week however you want, but for me, there is nothing that better represents every day, every year, every life that has ever existed... than what this week represents. And I'm looking for all the help I can get to transport me from birth to death and back again! I guess that's what I intend for the Holy Week David Gilmour Liturgy. It's a way to help me embrace the season with as much depth and intensity as I can. Which I feel it merits. So... if anyone is still reading this redundant ramble... I hope that sheds a little light on what my posts will be about this coming week. You are free to read and listen if you like with each day's posting. Or... not. Whatever you choose, happy Holy Week, my friends... And a boat-load of peace to ya! Well, if we are FB friends, you know it didn't happen (I didn't share the above piece or any DG music). Even after I decided against it on Palm Sunday, I still intended to do the Maundy Thursday to Easter Sunday version. I did not, and maybe it's time to put it to rest. It was as I stood in the parking lot in a downpour Thursday evening that I decided to nix the whole Easter week liturgy altogether. Actually, maybe even before that. I found out mid-week that two of my co-workers are leaving. While I don't blame either one of them, I was bummed about it. Then late Wednesday night my boss sent me a message wondering if I could cover part of his shift at the desk so he could attend his church's Good Friday service. That in and of itself wasn't so bad, but the fact that I was spending Maundy Thursday working from 5 a.m. to 2 p.m. and then working the parking lot at church from ~ 5 p.m. to 7:30 p.m. - with no chance for a run in between - and then I wasn't going to be able to attend the Good Friday breakfast put on by the Y (that he was going to attend); plus I wasn't going to be able to attend either of my church's Good Friday services because of work and the parking lot.... Well, you know me, I handled it in my typical selfishly juvenile way: I got mad. I didn't respond to the boss until Thursday (hoping I would cool off a little). I simply told him I could stay late, but asked if I could get off at 1 p.m. on Thursday. Well, I wasn't able to leave early Thursday, and to top it off, Thursday was our "Member Appreciation Day" at work, and I was going to be there by myself to get everything ready and deal with the whole thing (until 2 pm). So when he asked if I was still going to be able to work late Friday, naturally I said, "I guess. I suppose one of us should get to attend a Good Friday service." Yes, I know it was a passive aggressive response. And he did eventually realize that since he had attended his church's Maundy Thursday service, the Good Friday breakfast, and he was able to attend the evening Good Friday service at his church... he actually let me off at noon Friday so I could attend our service. He's not a bad person, just doesn't think things through very often. So....... that's a long curve back to Thursday evening. Someone had actually signed up to help with the parking lot, and, fortunately, they did not show up. I'm sure the fact that it rained all afternoon/evening Thursday was part of the reason. I also think they weren't mentally or physically capable of doing it anyway (so why would they sign up???). So, I spent the evening standing in the rain in the parking lot -- and only had FOUR CARS the entire night! They eventually cancelled the game anyway, but this experience was not worth the stinking $20 it raised for the church youth group (which is another thing because I'm not entirely sure who the youth group is, where the money goes, who decides how it's used, how it gets there, etc., etc., etc.). I ended up going home a little after 7, eating supper, having a glass of wine, and crawling into bed. Aaaaaaaanyway... Friday came at the usual 3:50 a.m. and I went to work and did my thing. I actually had a great time of reading/journaling my Lenten devotions. The entire journey this season with Scott Cairnes' little book 'Love's Immensity: Mystics on the Endless Life' has been overwhelmingly good. It's amazing the places it can take me each morning. I've been tempted to share some of my journal entries here but feel it important they be kept between me and Thee. I've always had this thing for Holy Week (well, always for awhile anyway). Especially Thursday/Friday/Saturday... much moreso than the big and bright Easter Sunday extravaganzas. I'm sure part of the draw for a sadly shy introvert like myself is that it's one of the few times people are actually ENCOURAGED toward silent meditation and a somewhat subversive wrestling with mysteries below the surface of everyday television tripe. We have to slow down, think about feet, and drag a tree up a hill in our underwear (mentally... only mentally)... Anyway, the last 5-10 years I've been doing this 'David Gilmour Holy Week Liturgy' each year - which I'm sure ya'all have missed this year (another story). This year though... or this week... my attention has been caught up in a line from this Jakob Dylan song. I was actually reminded of it by a guy who's been dead nearly 700 years, but I've always loved this song (at least since 2010), and how the son of the legend himself (Bob) originally wrote it for Glen Campbell to record. There are lots of parallel lines, but this one - "Got nothing to lose but rivets and chains/Got nothing but the whole wide world to gain" - that's my Holy Week mantra this year right there! It's like a sum-up of the whole dang shebang! I'm sure I hear it in a way Jakob wasn't intending (maybe), and isn't that perfectly fitting on something called "Good Friday" when we celebrate a guy dying (and... drink his blood?). So, yeah.... well... before darkness appears to consume us... and his body transfigures to a peep... if your hope is being hammered and you're hangin' by a thread... Remember... It's Friday. And we've got nothing but the whole wide world to gain. Peace out; and in. I did get off work at noon, and I accompanied Lady Jane to the 12:30 p.m. Good Friday service at our church. It was nothing but music (recorded), responsive prayer readings, the Scripture reading, and communion. I don't know why, but I had tears streaming and was on the verge of outright bawling almost the entire service. It was that good - in a moving sort of way. Here is a link to the playlist used from Spotify. The music itself was intense, but with the readings and Scripture... it was amazing. Perhaps one of the best things to happen to me this entire Lenten season also happened Friday. I was invited to the Jehovah Witness Commemoration Service honoring Jesus' death! One of the bike mechanics that works in my building is a 20-something Jehovah Witness. We are cordial with one another and I like her. Yet it was so completely sweet, and I could tell took a lot of nerve, when she finally came over to my desk and invited me to this service. Her face was blanched red and she was shaking... She knows I used to be a pastor - and I don't know if that maybe would have earned her more points or something (I don't think so), or if she thought this might make a difference, or what - but I could tell it was a big deal, and it actually was a big deal to me. I have no interest in joining their group, but felt quite honored that she would invite me - just like I feel honored when atheists and agnostics interact and engage me in religious discussions. Of course, naturally, my boss walked in - after just getting back from the Y Good Friday breakfast - and totally missed the importance of an evangelical Christian interacting positively with a Jehovah Witness. He started going on and on about Easter, and the Christian speaker at the breakfast and whatnot. Again, he's not a bad guy, just not so very aware most of the time. Friday ended up being a double-header baseball game, so I was back at the parking lot not too long after leaving church. It was another slow night. Jane eventually joined me, and after we'd parked only about 20 cars, we left around 7:30 p.m. and went to our usual Friday night spot. We had supper and drinks and fell asleep in the basement. Today - oh yeah... it's supposed to be "Silent Saturday." Normally I wouldn't share anything on this day when 'Christ is in the grave.' Yet, this year.... meh. We went to the Y and did our weekly long run (9 miles) because it's raining and I'm not up to running in the rain just yet. There's supposed to be a 1:05 baseball game today, and someone volunteered last-minute to work the lot. I told her to just block it off and don't worry about taking any money, but left the money bag with her just in case. I'm not sure what she'll do. And, honestly, I really don't care. I need to take a shower now because I'm a sweaty mess. After that I'm thinking a nap may be in order. Tomorrow involves the Easter breakfast at church at 9:30 a.m., the Easter Egg Hunt at 10, and the worship service at 10:30. I believe the Feipel's are coming over afterward for lunch, and.... that's about that. So... that's the long story of this short week so far. Harumpf. Today I mowed the lawn for the first time this year. I wasn't planning to, but after my weekly meeting with Tom (in which he said he was going to mow today), and taking my 5-mile Wednesday run and seeing lots of other people mowing, I thought "what the heck" and went ahead and did it. The grass wasn't really that long - I had a hard time seeing what I had mowed and what I hadn't - but it does look better having it all evened off. Plus it mulched up all the random leaves and sticks and things floating about. It was weird using the new (old) mower this year. I think this is the first "opening day" I haven't used the old mower in... geez... well over 30 years. I do like that the new (old) mower is a mulcher. It's much cleaner that way. I signed up for another marathon yesterday. It's not until the end of September, and it will be my 2nd marathon - once again the Fort 4 Fitness marathon. I have intended to do it since completing my first one last fall but didn't want to jump the gun in case I got injured or died or something. I did, however, want to sign up before the price increase at the end of this month. I feel pretty excited about this 2nd marathon. I will likely have to run it alone, but that's okay. I know it means it's going to be a long, tough summer of training, but I feel strangely confident that this year I can beat Oprah's time (4:29). I just missed it by a minute last year. Running in general has been going pretty good (though not great). I think this may be the most consistent I've ever run through the fall, winter and spring. I am still running 4 days per week, as I did most of last year. My feet and legs are feeling pretty good. The right foot gives me problems now and then - probably plantar fasciitis stuff - and my left knee acts up only occasionally. I tend to only treat both with CBD salve. It seems especially effective on my feet. Jane and I are presently training for the Indy Mini half-marathon. It's the first Saturday in May. We haven't kept up with our long runs very well. We were both sick for a bit, and then the trip to Florida kind of put a damper on things. I think we can still work up to a 10-miler before the race, and that should be plenty sufficient. We may not get a PR for Jane again this year, but I don't anticipate it being too strenuous. The biggest thing I need to do is try to drop some weight. I can't seem to get below 165. I swear, as soon as I hit it, it's like a spring bounces me back up to 170. I would like to get down to AT LEAST 155, if not less, but I'm afraid it's going to require some drastic measures. We'll see. So yesterday was Palm Sunday. It was also an emotional rollercoaster for me. Ugh. I'd actually been feeling fairly fine about the whole Lenten season thing - even though I didn't really get into it all too much. I did, however, secretly put on a yellow t-shirt underneath my long sleeve shirt for church yesterday... you know, because "I know" how this thing turns out (I don't think I've ever done that before). Even when we got the text messages shortly after waking up, wondering if we could both help with communion and one of us could handle the prayer time, I was okay with it. It was during and after the morning worship service that things took a little turn. First off, after telling him not to do this very thing, the pastor made a pulpit announcement urging people to sign up to help work the parking lot for Tincaps games. At the time it didn't bother me... until the end of the service and I saw that it resulted in EXACTLY what I told him it would result in... because it ALWAYS results in this: someone who has no business working the parking lot, and in all likelihood will not even show up, signed up to work the next game! And I'm not going to get into details here, but the people who make this the most difficult are the people who are trying to help -- BUT WHO REFUSE TO LISTEN TO ME -- and it's frustrating!! To top things off, as soon as the service was over, we were also approached by another person who was asking us to be involved in some plan of hers to help the pastor by sharing the load of some of his duties. For starters, while it was a nice gesture, it was nothing but a nitwit idea that I'm positive was thought up by someone who has absolutely ZERO experience with such things! I didn't respond at all, I let her tell us we could think about it, but I'm sure the look on my face told her how stupid I thought the idea was. What made it even worse is that I have tried to connect with the pastor several times already because supposedly he wanted my help in making some of these decisions. So I don't know if he doesn't know about this ladies plan, or if he is just saying "yes" to anyone and everyone in hopes of finding someone to help. I can sympathize, but I also think it's this sort of chaotic thinking/organization that has led to things being like they are. And... to top things off... when I was leaving I glanced at the sign-up sheet for the parking lot, and someone had written "Vote for Tim Smith" in big letters across the top of it (Tim Smith is running for mayor of Fort Wayne, and I am not a fan). I had a pretty good idea who it was, and sure enough, here he came with a sign taped to the back of his army jacket with the same message. I said, "Joe, are you the one who wrote that on the sign-up sheet?" He was all giddy and happy and proud of himself. I simply said, "Don't do that anymore." Then he started going off about how great TS was, and how terrible the current mayor is... and I finally lost it and said, "I wouldn't vote for Tim Smith if he was the only person running!" It was not a proud moment and I'm sure several people around us heard the exchange. I'd had it though. Everything kind of rolled together and I found myself ready to burst. I'd had it with the chaos, the idiots, the loudmouths, the total lack of concern by anyone for any semblance of order or worship or the making of disciples or helping people get 'better' or..... Yeah... then I realized I was just like the Pharisees. While everyone was all excited about Palm Sunday (or something), I was upset that things weren't "just so." I just wanted to bury my head in my hands. We had the granddaughter with us all afternoon so I just kept things to myself mostly - which is not usually a good thing for me (though it probably is for everyone around me). Later in the evening, when my 8-o'clock bedtime came and went, I even said to Jane that while I was tired I didn't want to go to bed because I didn't want the next day to come. I didn't want to go to work (because it frustrates me), and I didn't want to deal with the church stuff. Why does there have to be "church stuff" to deal with anyway? I know... I know the answer. But I don't want to have to go through all the crap of leaving a church, and trying to find another one, and having to answer to the kids and grandkids and anyone else who might feign concern. Plus I'm not all that sure we even COULD find another church to be part of. My frustration had gotten to the point, and the chaos so great, that I couldn't ever foresee anything good coming out of it. It seemed a hill too high to climb. I finally did go to bed (around 9 pm). Then I tossed. And turned. And tossed and turned some more. And looked at the clock until well past midnight. 3:50 am was going to come mighty early. I anticipated a long, tired morning at work, but when I arrived at 4:45 a.m. I was full of energy. I got the opening procedures done, and went to work on a list of things to do. By 6 a.m. I almost had my list complete. Unfortunately - or maybe "fortunately" - Monday is the pastor's day off, so I didn't talk to him. But I felt like I made some positive strides. And, better yet, I felt better about things. Dare I say even "hopeful." 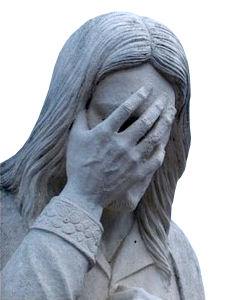 So, in the end, I did many a face-palm this Palm Sunday. While some of my indignation may have been warranted, most of it was embarrassingly petty. Such is my life. I honestly don't know what this week holds. Which puts me in pretty good company with the original disciples, I suppose. Well, not me, actually. However, today I did start up the lawnmower, and the motorcycle, and put the snowblower into hibernation. I thought I actually had a pretty good idea. When I checked the gas tank on the snowblower it was almost full. So I siphoned the gas from it into the lawnmower. Then I had an almost-empty tank on the snowblower and ran it out of gas. I also now have an almost-full tank on the lawnmower. No gas wasted! The lawnmower didn't start on the first pull like my old one, but I only had to tug the rope a half dozen times or so and it took off. I guess this will be my first time with a new mower at the start of mowing season. While I was at it, I also got the motorcycle out and started it up. I aired up both tires and, since it's a fairly nice sunny day (although a little windy and around 60f), I decided to take it around the block or two for a spin. It still seems to work okay. I'm still going back and forth as to whether I should sell it or not. Anyway, other than using the leaf blower to clean out the garage, that was about the extent of my outdoor activities today. A simple wonder-er, wanderer, and dreamer seeking life in the way of Jesus.